How Not to Screw Up Roast Chicken | It's not your tech, it's how you use it. Now I love roast chicken. A lot. It’s easy, it’s flavorful, it’s so simple to make and so delicious when it comes out right…but here’s the catch; it’s also really easy to screw up. 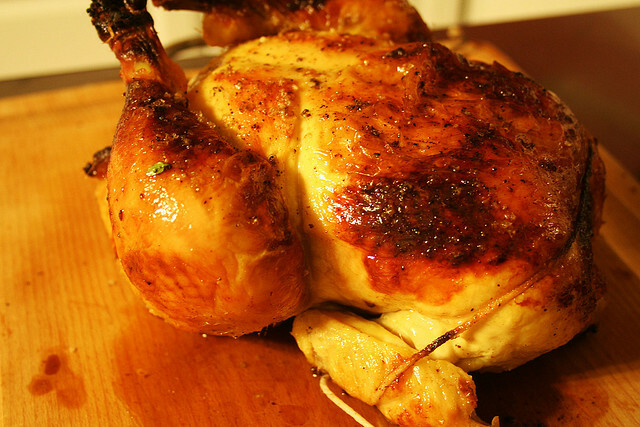 A lot of people simply don’t bother with roast chicken and go to their local grocery store or rotisserie to pick up a pre-made chicken because they know it’ll still be moist and they won’t have to deal with basting it and whatnot. Still: Hanne Blank loves roast chicken as much as I do, and she knows how not to screw it up, and she walks us through making sure we stick to the basics, keep our hands to ourselves, and let the thing cook. 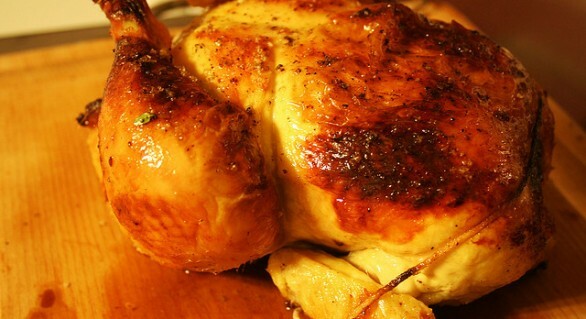 I’ve been a victim of horrible roasted chickens, believe me: to this day, I blame bad roasted chickens for being the primary reason that I still prefer dark meat to white meat: I’m just too used to dry chicken breasts from school cafeterias or even restaurants that supposedly know how to turn out great food. Hanne explains there are four big tips you need to remember when it comes to roasting a chicken. No, I’m not going to give them away, because they deserve explanation and attention. The big overview Moncler outlet however is that you should take care to make sure your chicken is properly washed, cleaned, rinsed, and dried first, and then move on to trussing (which she suggests you definitely do unless you’re roasting chicken pieces instead of a whole chicken) and then roasting. I know, I know, all of this sounds a little hoity-toity for a lot of you geeks, but trust me – learning how to properly roast a chicken will not only add to the classy factor when you have someone over for dinner or you’re making dinner for a group of people you want to impress, but it’ll also give you a way to feed yourself whenever you need to. Whole chickens are much more affordable than buying the whole weight of chicken in pieces that are pre-carved, so it’s a valuable skill to have, whether you’re cooking for yourself, or a special someone you want to have a candlelight dinner with. Or an HDTV-lit dinner with, either or. Something that I think is utterly important to remember though that Hanne makes a point of as well is to remember to let your bird rest. When we talked about Cooking a Steak for Apartment Dwellers, I pointed out that it’s important to let that meat rest for a while, or else you’re going to cut into it and all the delicious is going to get on the cutting board, not in your face. The same is true for a roast chicken. Let is rest, keep your hands to yourself, and walk away for a bit. Prep the table, or bring out the side items. Do something, but don’t poke it, don’t prod it, and don’t stick your knife in it until it’s ready to serve – at least 10 minutes, okay? Good. You donâ€™t need a roasting rack, a specialized vertical roaster, a rotisserie, a marinade injector, a brine (though brines can be nice if you roll that way and have the time and inclination), a basting brush, or much of anything else. I make most of my roast chickens in a cast iron frying pan, seasoned with nothing more than salt and pepper, and it never fails. If you want, you can shove a few cloves of garlic and a halved lemon into the cavity, maybe a Moncler branch of rosemary or a few sprigs of lovage or whatever you got that has a perfume that smells good when a chicken wears it. But truly, it requires less of you to roast a chicken well than it does to make a good omelette. This really hit home with me – mostly because I was already thinking of ways to get herbs up under the skin and whatnot before she said this. She makes an excellent point: it’s all really not necessary – the same way you gasp in horror when someone dunks a steak in a marinade? Yeah – you don’t need to do all of that to your chicken either. Even so, sometimes I like a good brine, and sometimes I like a good marinade and some garlic, but you know as well as I that sometimes the more you mess with something the worse it’s going to get. 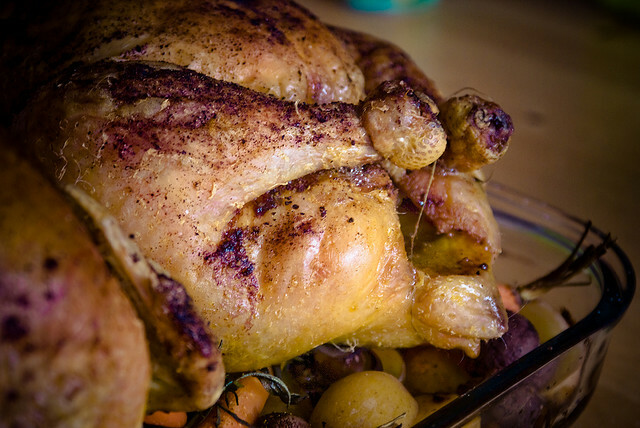 So keep it simple, follow Hanne’s tips, and turn out a great roast bird. Next time, let’s chat about some wines you can pair with it.